Folks, this woman bagged a PhD. 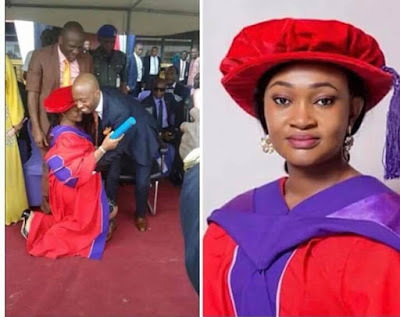 During convocation, the excited woman knelt down before her husband to thank him for having supported her during her very tasking research works. Consequently, some bloody feminists abused her for kneeling down and being thankful to her husband. What is your take on this?